Freight forwarding companies like Offshore Back Office Solutions organize the transport of goods between two locations using various necessary conveyances and common carriers via air, marine, rail, or road. Serving as a middleman between the shipper and transportation services, freight forwarder companies have an expertise in managing the logistics that is crucial for an efficient and cost-effective transportation. This ensures that goods arrive in good condition, and at the right time. They Offer a Range of Services. They Are Beneficial to Your Business. Hiring a freight forwarding company will save you both stress and money. With their expertise in logistics, they’ll create strategies with you and do negotiations with necessary carriers to get the best rates. As opposed to doing it alone, you’ll be able to save for certain costs. Shipping Delays Are Out of Their Hands. Frustrating as it can be, your freight forwarder is not accountable for the delayed goods during the shipping process. There are several causes of delays like bad weather, breakdowns, port delays, or unexpected changes in the route, which are outside of the freight forwarder’s control. Rest assured, your freight forwarding company would resolve the issue as fast as they can to get the delivery of your goods to be back on track. Your Paperwork Must Always Be Updated. Your goods will be going through several channels before reaching its destination, which means there are risks of obstacles coming through your way. Examples would be the holding of your goods in customs or the refusal of the bank to release your funds due to inaccurate information in the paperwork. So to lessen the risks of such occurrences, make sure your transportation paperwork is thoroughly completed. There Are 6 Key Stages in Freight Forwarding. Export Haulage – This is the movement of goods from its initial location to the warehouse of the freight forwarding company. Export Customers Clearance – In this stage, a clearance is received for the goods to leave its country of origin. Origin Handling – This is where the goods are unloaded, inspected, and validated against its booking documents. Import Customs Clearance – Authorities will be checking your customs paperwork for the cargo at this stage. Destination Handling – Cargo is handled as it reaches the destination office. This stage includes the transfer of cargo to the import warehouse. Import Haulage – Cargo is then transferred from the import warehouse to its last destination. You Should Be Provided With Documents. You Should Check Your Freight Forwarders’ Network. A strong and large network is essential for freight forwarders, as it would determine their connections and in turn determine their capabilities to provide you the best shipping rates and the fastest deliveries. In addition, freight forwarders with a lot of experience are more likely to resolve issues and problems efficiently, having dealt with several clients in the past. 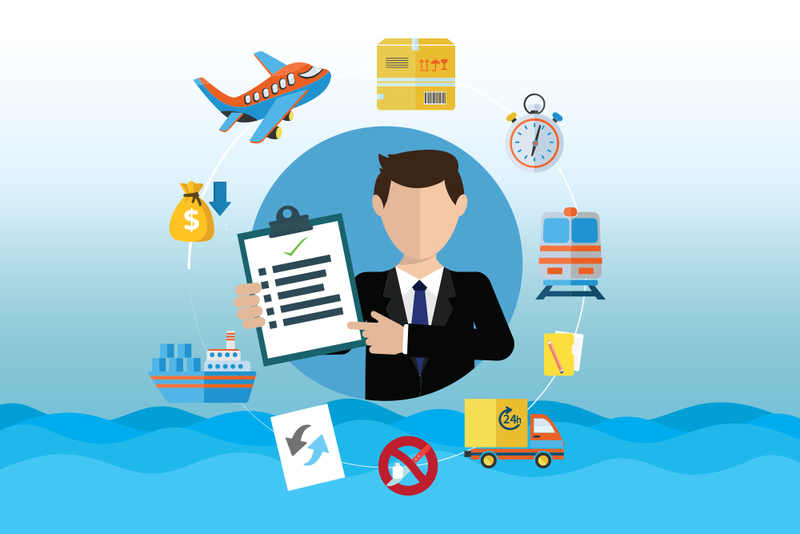 You Should Check if Your Freight Forwarder has Specialization. In order to fully maximize the benefits of Back Office Offshoring Services, you first have to check if what they’re offering is suitable to your business needs. Some freight forwarders have specialization when it comes to specific types of cargo, while some others can handle various types of goods. Depending on what you need, it would be best if you choose a freight forwarder that has been handling goods that are similar to yours. That way, you’re assured that they’re used to delivering it and thus can ensure the safety of your goods.